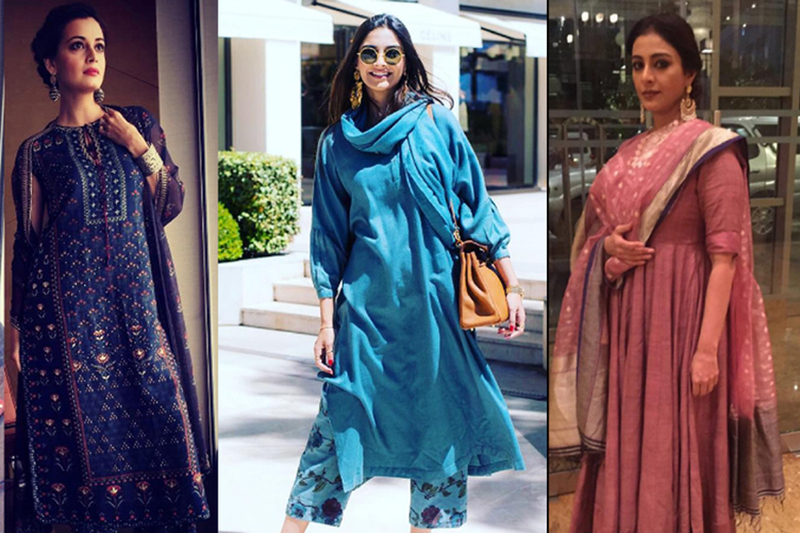 With Eid around the corner and festive shopping on the go, how about splurging on some fashion trends to make a style statement? Earnings: Modish look trendy danglers beautifully crafted in gold and diamonds is what is the latest trend. The collection of danglers can go in three shades of gold- yellow gold, white gold and rose gold for the jewellery lovers. Pendants: Add sparkle to your life with classy and lightweight theme-based pendants like abstract art, cosmic planet, wanderlust, blossom, teenhood, enchanted soul, umbra and geometric. Mastered with subtle gold tones of yellow, rose and white is the good option which provides a clear add on to the outfit for any occasion, be it festive, party, casual or formal. Rings: Theme-based designs in fine shades of gold can add appeal to your outfit on the occasions like weddings, anniversary, and birthdays. * You should always go for outfits that reflects the gloriously rich celebratory nature of Eid. This year, lawn dresses or lawn salwar suits in pastel colours are the most preferred choices among women. Made out of cotton, embellished lawn salwar suits will keep you comfortable all day on Eid. To add an air of sophistication to the look, carry a black clutch made of leather. Instead of sticking to the plain ones, choose a leather clutch with fine silk embroidery. * If you are someone who doesn’t shy away from experimenting and likes to keep things simple, you can try a pair of tulip pants with a short length Angrakha for a sassy look. If you want to make the outfit stand out from the crowd, make sure to carry a tote bag. * Be it Eid or any other occasion, floral prints are always a win-win choice. Wear a bright, floral kurta with a pair of palazzo pants to give off a sophisticated vibe. However, if you want to make the look even better, carry a classic baguette bag, crafted in Mulberry Silk with contrast leatherette handles.